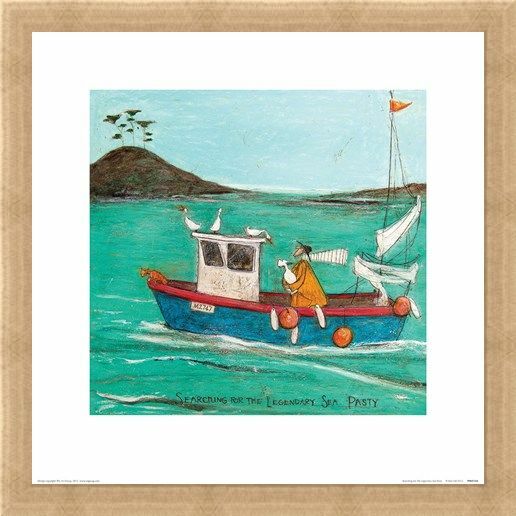 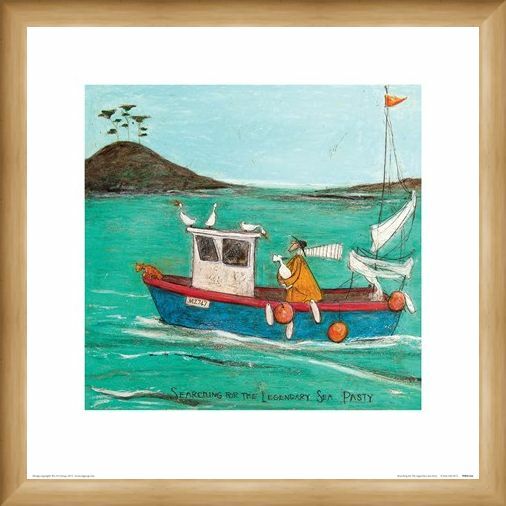 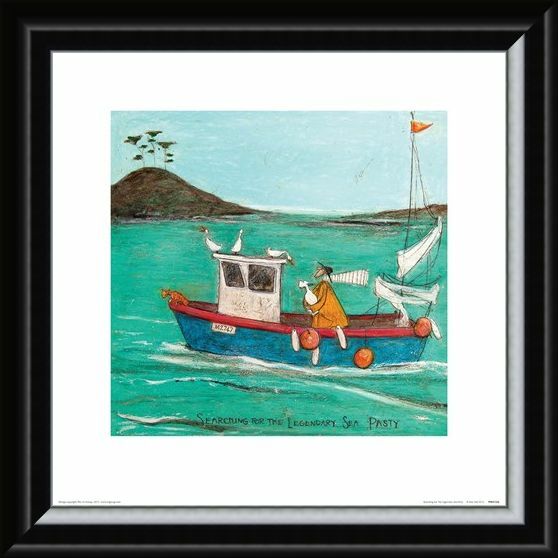 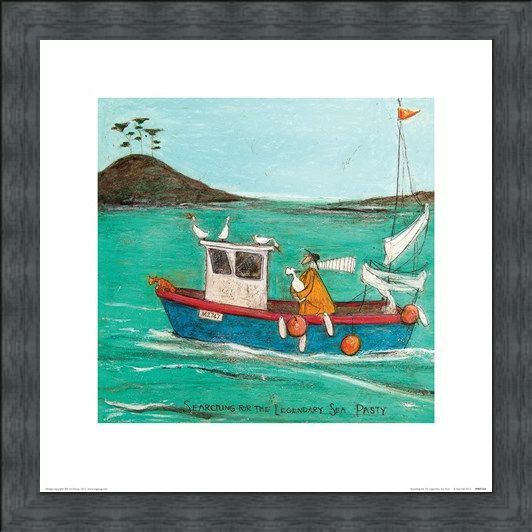 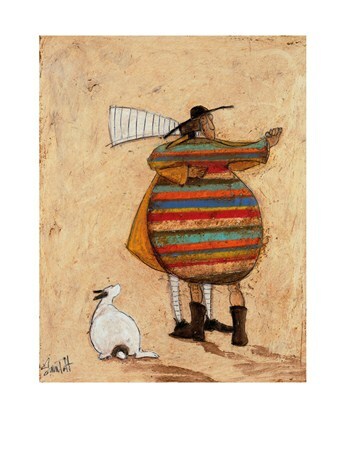 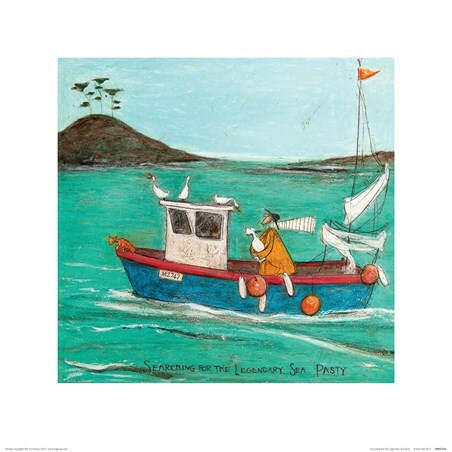 Contemporary Art Print: Join Ernest and Doris on yet another grand adventure in this charming seaside print. Beautiful textured colours paint the scene of the rolling ocean with a lonely hill set in the background. 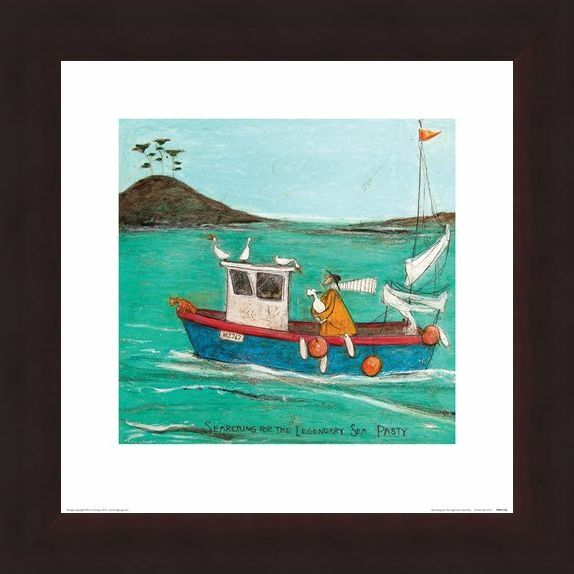 Once again Mr.Mustard and Doris take centre stage, roaring through the image on their small blue, red and white boat, scarf and puppy ears trailing in the wind. 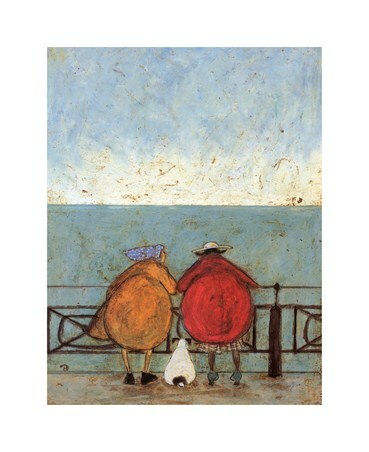 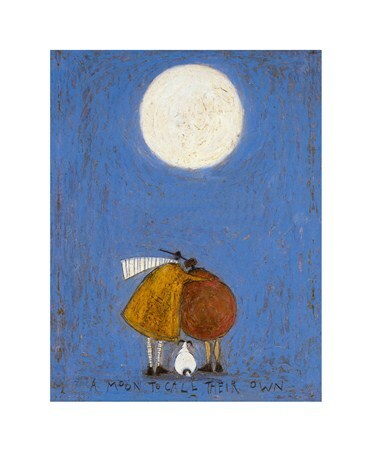 Sam Toft has created yet another stunning image illustrating the friendship of a man and his dog. High quality, framed Searching For The Legendary Sea Pasty, Sam Toft print with a bespoke frame by our custom framing service.